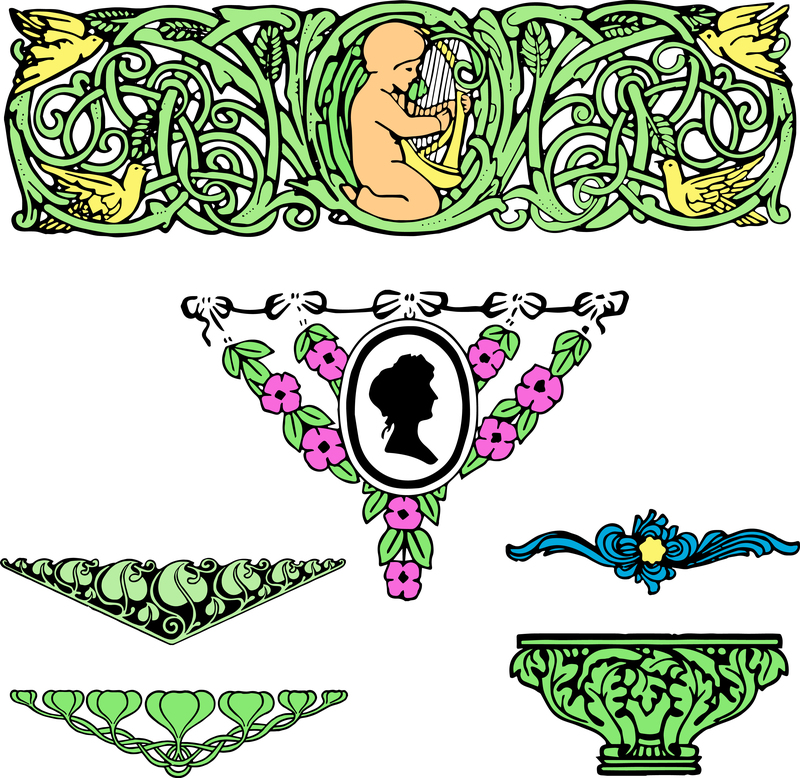 This springtime cameo floral and vines clip art brings to mind the promise of spring. We’ve had so much snow around here, it seems like the longest winter ever! I’m ready to hear birds chirping and see flowers blooming. 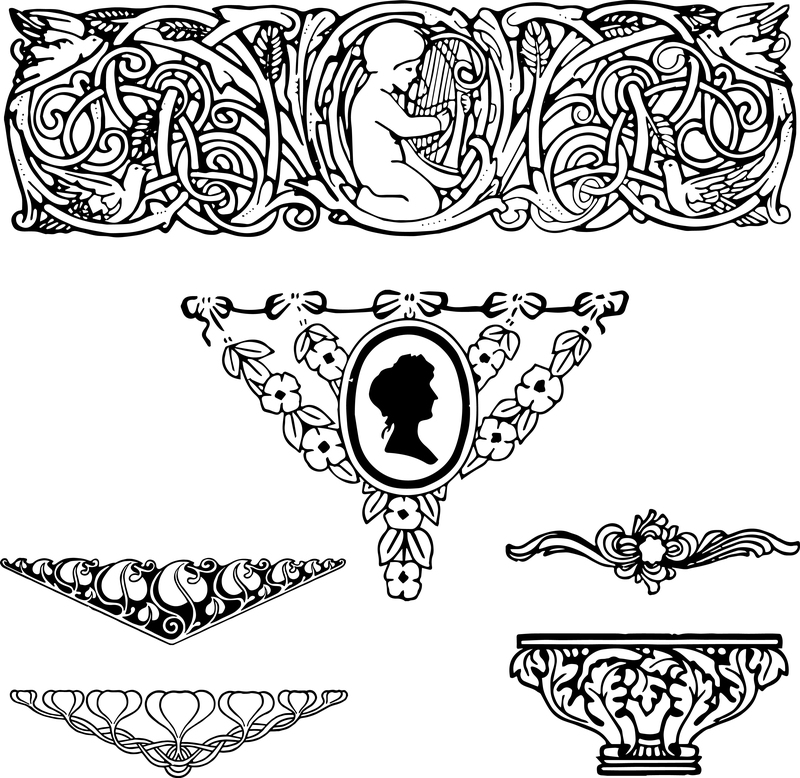 This set of free vintage clip art comes in both black and white or colored JPEG, PNG, free stock vector and PDF download. 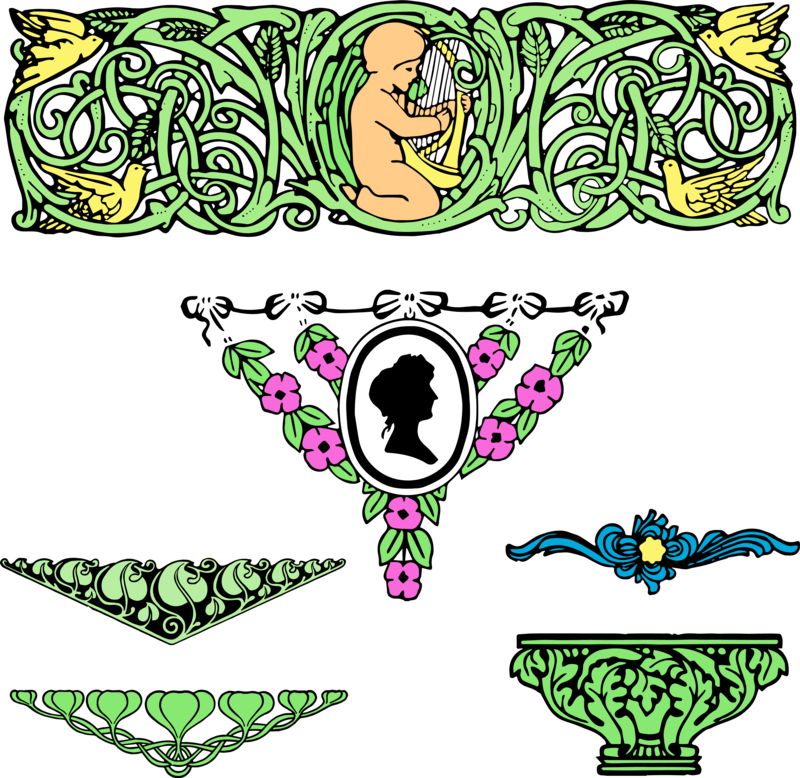 Feel free to use these free vintage images in your DIY and craft projects. They are also commercial use freebies.